Find your next new or used boat or RV at Boerne Boat & RV Storage. 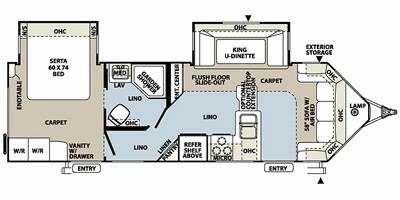 The Flagstaff V-Lite 28WRBS v-nose travel trailer by Forest River offers double slides and a rear bedroom. 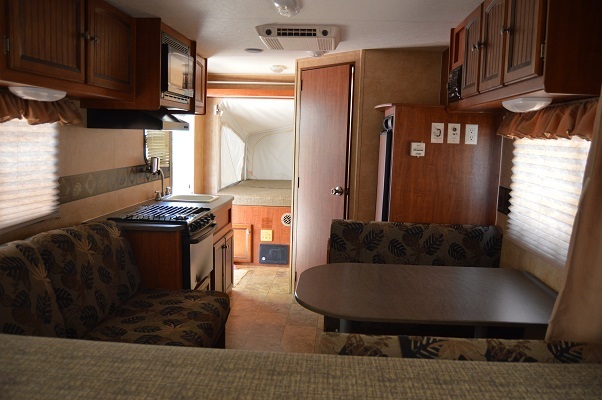 As you enter the front entrance of the travel trailer, to the right is a hide-a-bed sofa or optional theater seating or optional recliners. The slide has a king u-dinette. Next to the slide is a nice size entertainment center. 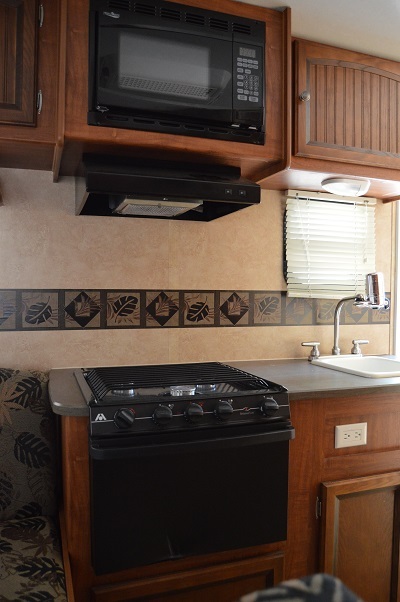 The opposite side of the travel trailer has a double kitchen sink, three burner range, microwave, refrigerator, and corner pantry. In the bathroom you will find a corner garden shower, toilet, sink, and handy medicine cabinet. In the rear you will find the bedroom. There is a queen bed slide, optional wall mount TV, and a wardrobe and drawers. There is also a private entrance outside from the bedroom. 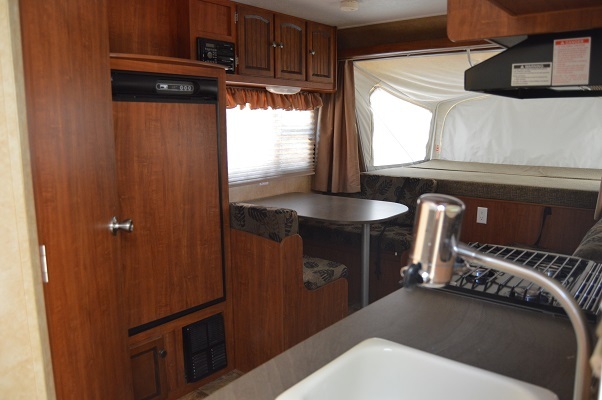 Holiday Rambler Navigator - Low Miles!